The Big Well is a 109 foot well that was hand dug in the late 1800's. It is the largest hand dug well in the world. The well was the water supply for the town of Greensburg until 1932. In 1937 the town decided to use the well as a tourist attraction. In 2012 a new visitor center was opened. This features a beautiful spiral staircase that descends into the well. Location: 315 S. Sycamore Greensburg, Kansas. 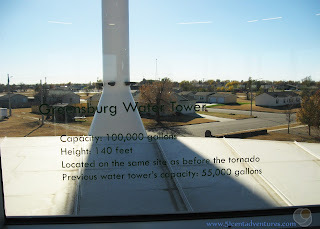 Greensburg is 110 miles directly west of Wichita. Cost: $8 per adult. $6 for children over 4. There is a family rate of $25 for two parents and their children under 18. Operating Seasons and Hours: Monday through Saturday from 9:00 am to 6:00 pm and on Sundays from 1:00 to 6:00. This was the second stop of the third day of my family's road trip when we moved from Alabama to Utah in November of 2016. 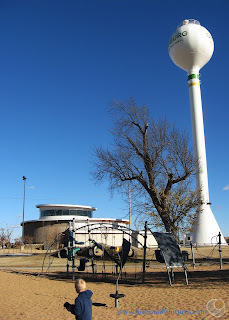 That morning we had visited the Cosmosphere in Hutchinson, and then driven two hours southwest to Greensburg where the Big Well was located. When I first read that "The Worlds Largest Hand Dug Well" was in Kansas I thought, "Big deal." It sounded like one of those desperate tourist things like world's largest frying pan. I planned on skipping it. 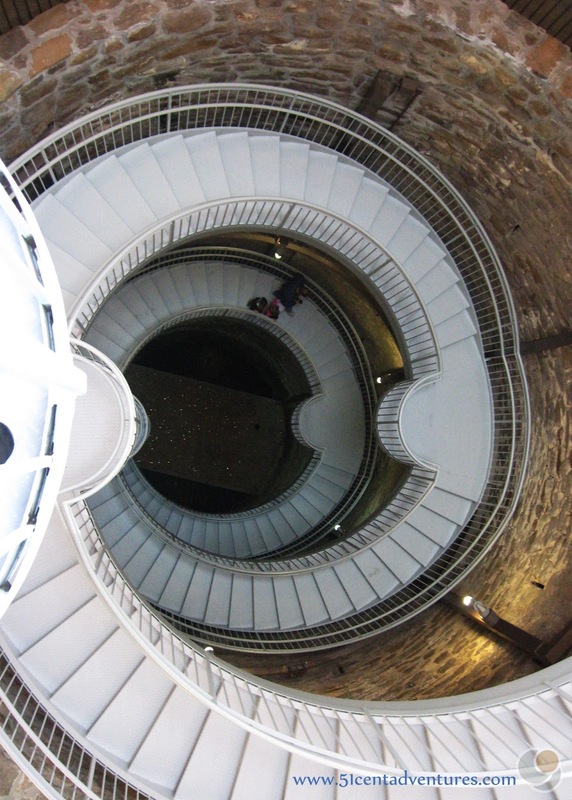 That is until I saw a picture of the spiral staircase that went down inside it the large circular well. I hadn't realized the well would be so wide. And I definitely hadn't expected it to have such a pretty staircase. 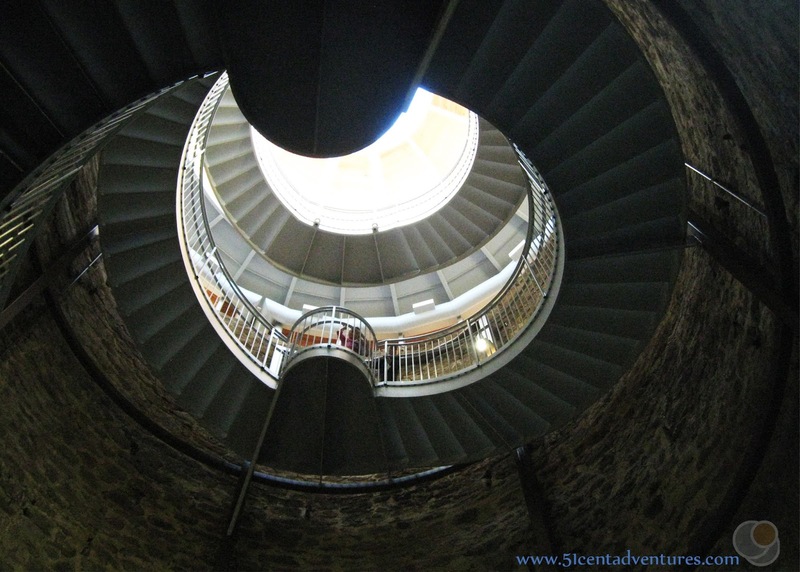 I wanted to see the staircase in person so I added a stop at the Big Well to our list of things to see as we drove through Kansas. As we drove across the country my husband and I were travelling in different cars. I was driving our Honda Pilot with our two youngest children. He was driving our moving van- and towing our jeep. The twins were riding in the cab of the moving van. There was an intense headwind blowing as we drove. The Pilot did okay with the wind, but the moving van didn't do so well. My husband ended up about 45 minutes behind me. 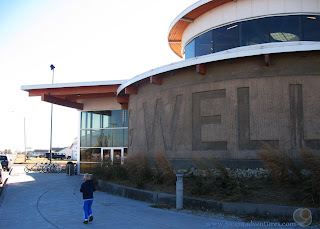 When we arrived at the Big Well I was happy to see that it was located next to a playground. Unfortunately, when we got out of the car my kids and I discovered that not only was the wind strong - it was also COLD. My son and daughter only played for a minute before they wanted to get back into the car. They played in the front seat while we waited for my husband to arrive. My husband and our twins showed up, and we braved the wind to walk around to the front of the building. As we walked I sensed that something was different about the town. Greensburg seemed better thought out than the other sleepy Kansas towns we'd driven through. The buildings seemed newer and better looking. As we entered the Big Well building I noticed a row of bicycles for rent. That's something I've only seen in large urban areas. This town seemed very progressive for being in the middle of farm country. We paid our entrance fee at the front desk, and walked around a corner to see into the Big Well. I was not disappointed by the sight. I found out why I'd been so captivated by the picture that I saw of the well. 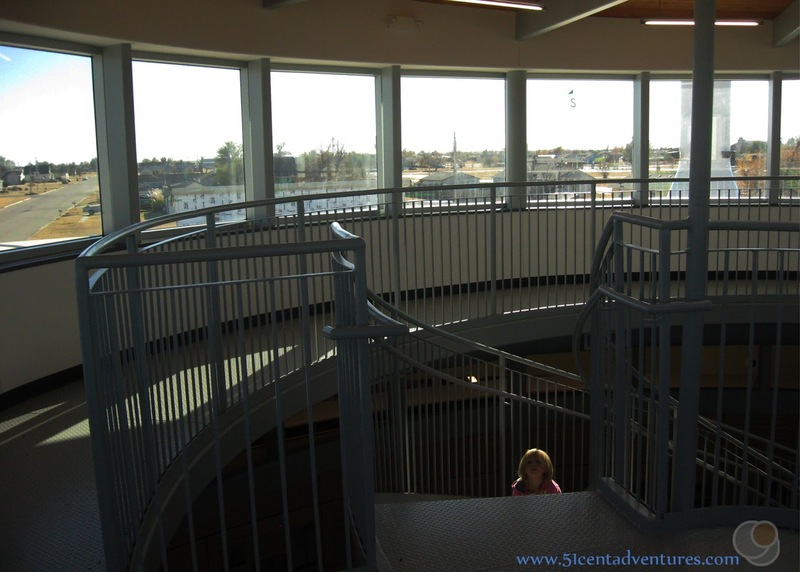 The well was designed to emulate the Golden Spiral. This spiral is found all throughout nature. In fact, some call it nature's blueprint. You can see it in places such as nautilus shells and sunflowers. There is some math involved, but basically the spiral gets wider with every quarter turn it makes. 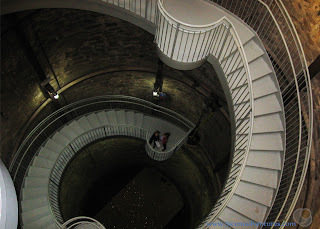 When you look down into the well you can see the spiral get smaller. The spiral staircase is not original to the well. 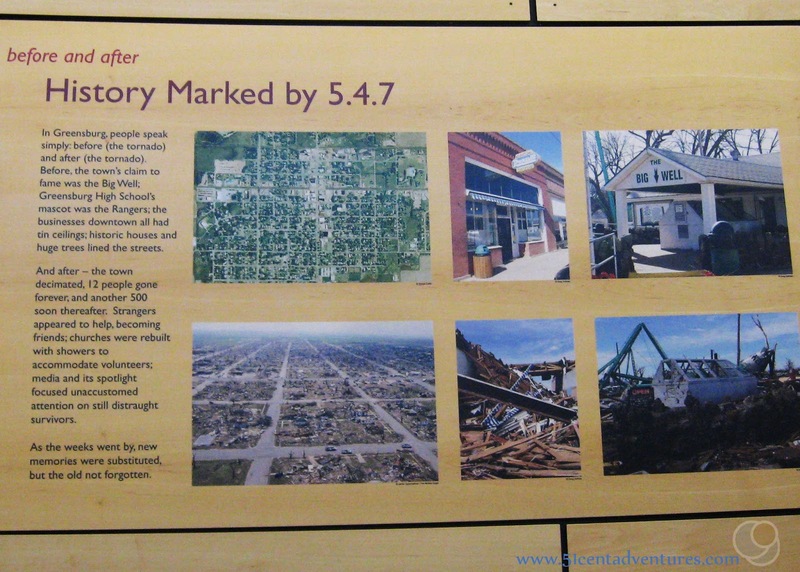 It was added when the Visitor Center was rebuilt in 2012. The engineer who designed the staircase couldn't be sure how strong how the walls of the well were. So he figured out how to hang the staircase from the building above. Now lets talk about the well itself. This was dug by a crew of workers and completed in 1888. 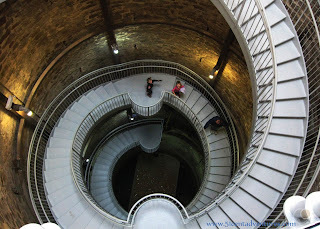 It is 109 feet deep and 32 feet wide. It served as the city's water supply until 1932. The well was opened as a tourist attraction in 1937. The spiral staircase has additional meaning beyond just being aesthetically pleasing. It's also meant to symbolize a tornado. 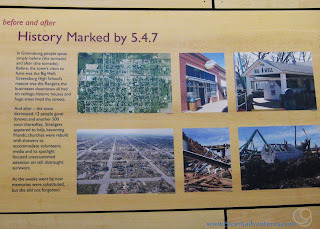 Back in May of 2007 an F5 tornado destroyed 95% of the town. After the storm passed and the damage was assessed; the residents and city officials made the decision to rebuild the town as a green town. Windmills were brought in and buildings were rebuilt to be as energy efficient as possible. This is why the town felt so much more modern than other Kansas towns. The main level of the museum is dedicated to the history of the town. There are sections that talk about the frontier era, the years when the well first opened as an attraction, the tornado, and the town's future as a model green town. The museum had various relics from the storm. There were twisted traffic signs and pieces of homes. 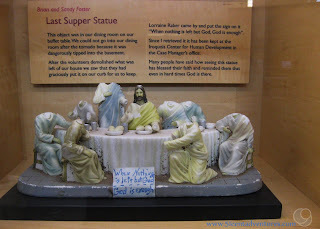 My favorite thing was this last supper figurine. 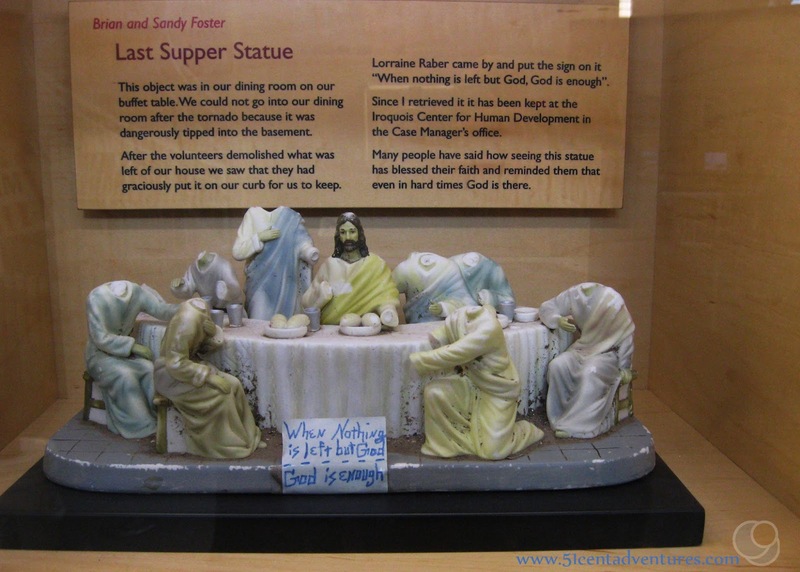 The hand written sign says, "When nothing is left but God - God is enough." 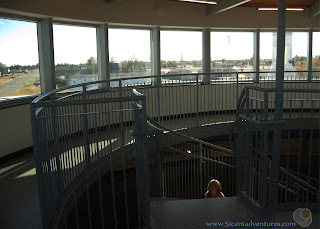 The top floor of the museum is a large observation area. You can look down into the well or you can look out over Greensburg. There are words on the windows that explain each building and structure that you can see. The words explain how the buildings contribute to Greensburg's goal to be self sustaining and as green as possible. We spent about an hour at the Bill Well, and climbed up and down the staircase many times. My legs hurt for days afterward. But it was worth it to see such an engineering marvel. I'm so glad I didn't skip visiting such an inspiring place. 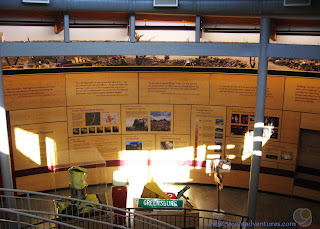 Recommendation: Most people probably wont consider seeing "the worlds largest hand dug well" as a must see attraction. But if you are interested in engineering marvels, creative architecture, or sustainable building practices, then you should plan on taking a side trip to Greensburg, Kansas. You won't be disappointed by what you find. Directions: Greensburg is 110 miles directly west of Wichita. It's located at the crossroads of Highways 400 and 183. When you reach the town head south on Sycamore Street. Look for the water tower. 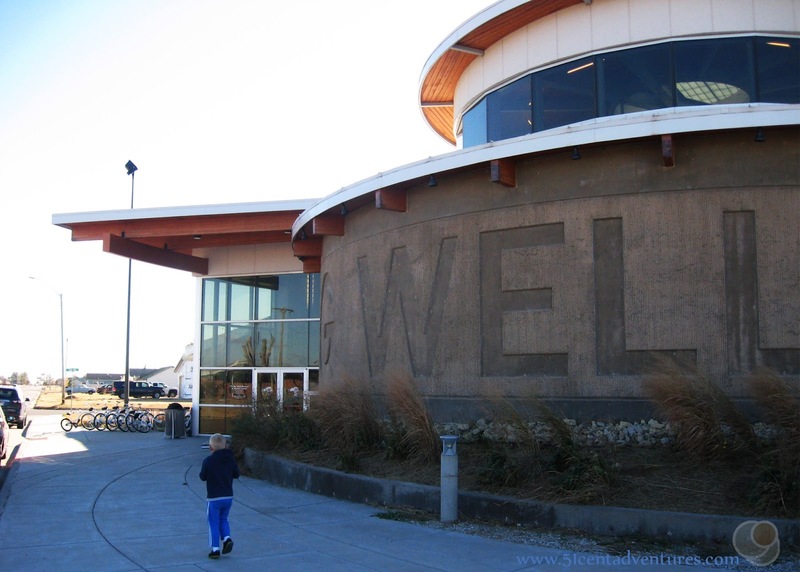 The Big Well building is under the water tower, and has the words Big Well spelled out in large letters on the outside. Additional Information: For more information about the history of Greensburg check out the excellent history on the well's webpage. Places Nearby: Dodge City is 45 minutes west of Greensburg. This city has numerous things to see that date back to when Fort Dodge was an important part of the American Frontier Era. Next Stop: This trip was originally supposed to happen in September. 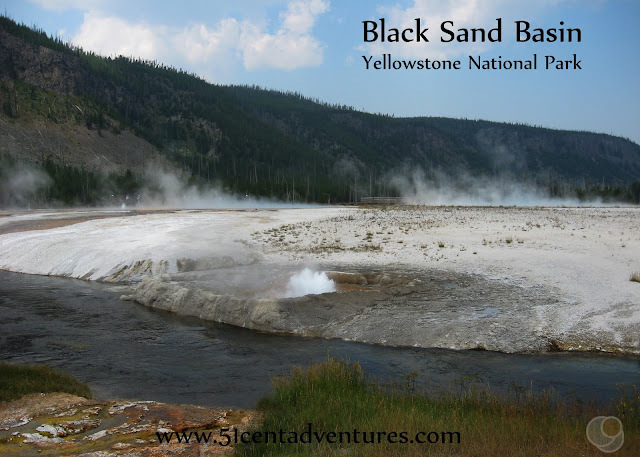 We planned to travel into southern Colorado and see Great Sand Dunes National Park, Chimney Rock National Monument, and Mesa Verde National Park. However, this trip was bumped back to November and by that time mountain passes on the highway through southern Colorado was going to be full of snow. Plus we also decided to travel with a moving van. So we shifted our route to the much safer option of I-70. We traveled from the Big Well northwest to a motel in Colby, Kansas. On Saturday we drove to Frisco, Colorado where we discovered snow for the first time in several years. We had been hoping to check out Lake Dillon, but we were too cold and too tired. So instead we went shopping at Target and hung out in our hotel in Frisco. On Sunday we continued driving to our next hotel in Green River, Utah. We arrived there around noon and so we had enough time to drive down to Arches National Park and hiked to Delicate Arch.